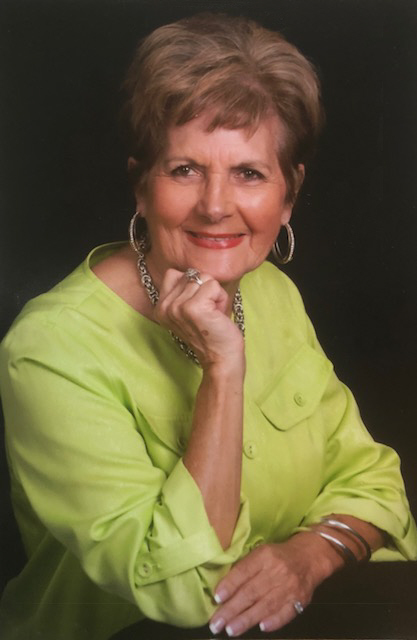 Nancy Redden Cobb, 81, of Horseshoe Bay, Texas, passed away surrounded by her family at approximately 4:30 PM on September 3, 2018. At 5:00 PM, she was having wine with Dad and Jesus, no doubt! She will be sorely missed. A Celebration of her Life will be held Thursday, September 6, 2018, at 2:00 PM at The Church at Horseshoe Bay. Burial will be Friday, September 7, 2018, at 11:00 AM at Pioneer Cemetery in Graham, Texas. Arrangements are under the direction Morrison Funeral Home. Nancy was born March 5, 1937, in Ponca City, Oklahoma to Joe and Faye Kuhns. She married Duaine Redden on October 19, 1957, after attending Sul Ross State University and was married until his death in 1981. In later years she married Dalton Cobb and lived in Midland. Nancy moved to Horseshoe Bay in 2012 to be near her daughter. Nancy’s faith in the Lord was strong as was her love for her family and friends. She brought joy to every situation, often through her ability to find or create humor from simple things. She moved many times in her life and taught us to look at every place as a new adventure. She was a member of the Republican Women's Association both in Midland and Horseshoe Bay. She was a member of the Faith Bridge Sunday School class and at the Church at Horseshoe Bay. She volunteered at Baylor Scott and White Hospital Gift Shop and the Soup Kitchen in Marble Falls. She loved playing bridge and canasta with her friends. She loved her life in Horseshoe Bay. Her favorite charity was to the Kids at New Horizons, of which she gave often. Left to cherish her memory and enjoy the stories of her life and the influence she had on them are her daughter, Diana Wright, Horseshoe Bay; son, Michael and daughter-in-law, Wendy Redden, Abilene; three grandchildren, Gentry Wright, Austin; McKenzie Redden, Nashville; Karlie and husband, Anson Van Cleave, Abilene; brother Sam Kuhns, three nieces, one nephew in Panama City; a sister-at-heart, Judy and Gary Gray and all our Oklahoma family. Mom loved to give. She gave with her heart and she gave of what she had. Her favorite charity were the kids at New Horizons. In lieu of flowers, Memorial Donations can be made to New Horizons Ranch & Center, Inc., 294 Medical Drive, Abilene, Texas 79601, or online: www.newhorizonsinc.com, in Memory of Nancy Redden Cobb. Visitation will be held Friday from 9 to 11am at the funeral home.